My Chinese mother-in-law is leaving soon back to China and this means we have to visit even more places than before. Even though we got around here in North Germany in the past months we never went to any other city except Flensburg few weeks ago. This will have to change as there is just a week left for MIL so we started our Sightseeing Tour with Kiel and its surroundings. 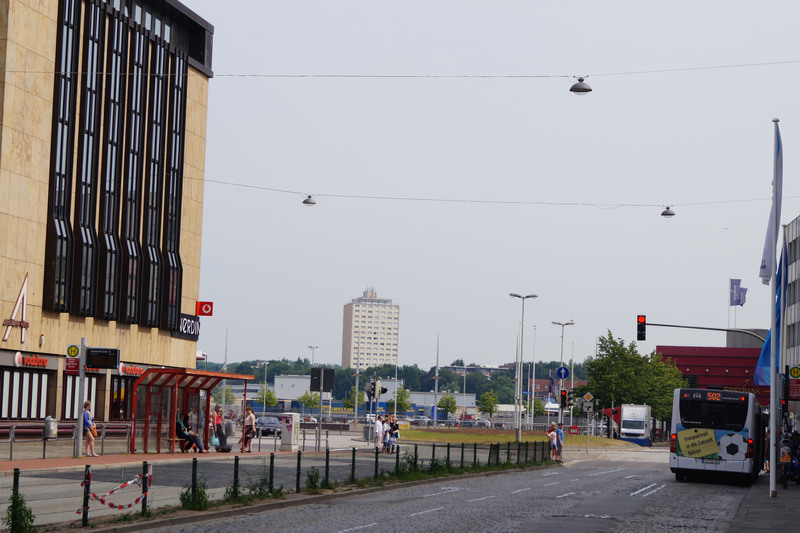 Kiel is the capital of Schleswig-Holstein, the state we live in. The city is only 15 minutes away by car from us so it makes it perfect for my wife to get some real shopping done once a while. 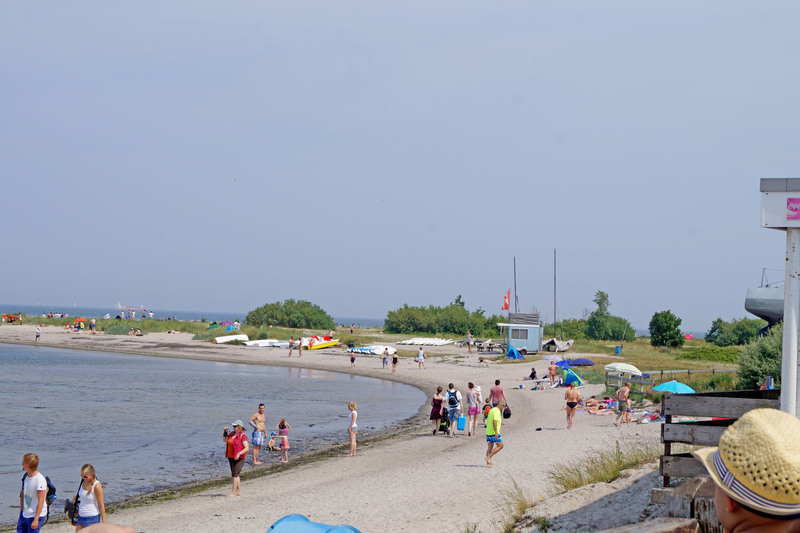 The first destination I selected for us was the Laboe Naval Memorial several kilometres away from the city. It is dedicated to all the sailors who died during the world wars. In front of the monument is the old German submarine U-995 which can be entered for a small fee. As we only had little time we had to decide to visit either the monument (which has a fantastic view from the top-level) or the submarine. Because MIL and my wife never had visited a submarine they decided on it and we had a short submarine sightseeing. After that we checked out the local beach and then headed to the city. Everytime we drive to a new city I feel lost, even with GPS. However Kiel was the worst experience so far for me. The streets there are so confusing that I took more than once (eight times) the wrong turn by going into a street too early. I don’t know what they were thinking when coming up with this street system but I have the feeling that those “planners” were under the influence of something… Anyways, I managed to get us safely to a multi storey park house right next to the main shopping mall of the city “Sophienhof”. As it was already past noon we decided it was better to eat first before doing anything else. So off we went first to the so-called old town of the city where I barely saw any old buildings except the church and a couple of other buldings but that is due to the Second World War as more than 80% of the city was destroyed due to heavy bombings by the Allies. After some walking around we settled on a steak restaurant called “Block House” which belongs to the restaurant chain with the same name. They are pretty famous here for their steaks and many friends recommended it so it was time to actually try their food. Though it was very good I still prefer the steak restaurant in my hometown. Not only due to the lower price but it somehow fits my taste better. After the mission of filling our stomachs was fulfilled the shopping madness started. I really do believe that MIL can survive a month without food or drink if she just can go around shopping. I always thought my wife is already much into all this shopping stuff but my crazy Chinese mother-in-law is unbeatable in this field. Did I mention the current heat wave already? Well, it is pretty warm here in Germany and during our trip in Kiel we had 33-34 degrees Celsius which is pretty decent for German standards. Of course it can’t compete with the temperatures in Asia but even MIL said it is hot but I guess this is only because there are barely any air conditions around here. Last but not least we headed back to the shopping mall to have some Quark dessert at one of the food stalls and then it was time for one more round of visiting each any every shop in the mall for both of the women. We men (Nathan and I) just walked around, really walked around…Nathan actually pushed his baby stroller first one time around the first floor of the mall and then also on the second floor. After the last round was completed he just turned around, looked at me and raised his arms. This is his signal that he is tired and wants to be carried instead. Many people were actually wondering when we went around as I was walking next to the stroller so from the front it looked like the stroller is moving on its own. In the end both women were exhausted from this long day and my wife even fell asleep the second she entered the car. I must say it was a nice trip and I wish there would have been some time to go the beach to enjoy the sun better and cool down in the ocean. Sadly MIL does not want any more taint than she already got here in Germany and thus no such activities are possible as long as she is here. Now I just hope for the next heatweave once she is gone so we can relax at the beach at some point. Right now even with the worst heat she still tries to cover little Nathan with clothes as he might get sick if there is some breeze or an evil sunray might burn him to death. Can me have some dessert? Have you ever visited a submarine? For me it is hard to believe how small it is actually inside and they had a crew of 54 men back then! Being small on the inside is something i did hear about the submarines. XD and i saw it in some of the pics you showed. The submarine looks so cool. And you actually got to go into it and see how the sailors works and lived there. Thought it was rather dim and dark, but I suppose there’s only so much power you get underwater. I think they keep it darker on purpose in some places. The nuclear reactor provides MORE than enough power for lights. Hahaha. That is so true 😉 I don’t think there are nuclear reactors down there, though. Luckily…but I could be wrong. The submarine is really small inside and dark. Back in the day they had a crew of 54, now with 8 people inside it was full already! My brother was an officer on a U.S. fast attack submarine, so I got to check one out. FYI, if you ever get a chance to visit a sub, I’d advise against wearing a skirt (there are many, many ladders). I’m kind of amazed more “squids” don’t flip out over being underwater for months at a time — the spaces are very narrow. Very dark. Pipes and valves all over the places. Lots of head ducking. And they were always worried about fires, because the kitchen fryer and the clothes dryer were notorious for going up in flames (small flames, but a very real threat). Yes, these submarines are really narrow inside. I bumped my head more than once inside against some valves and other things. I’ve been into a submarine, quite long ago. It was pretty cool with all the gauges and torpedo turrets and whatnot. Anyway, just tough it out, once the crazy MIL is gone, normal service will be resumed! Hmmm. A submarine. Maybe. I’m a militiary brat so I feel like I’ve been around all of it: tanks, aircraft carriers, helicopters, cargo planes, yeah…as horrible as these machines are (as in their real purpose), they are a lot of fun to get into and explore. 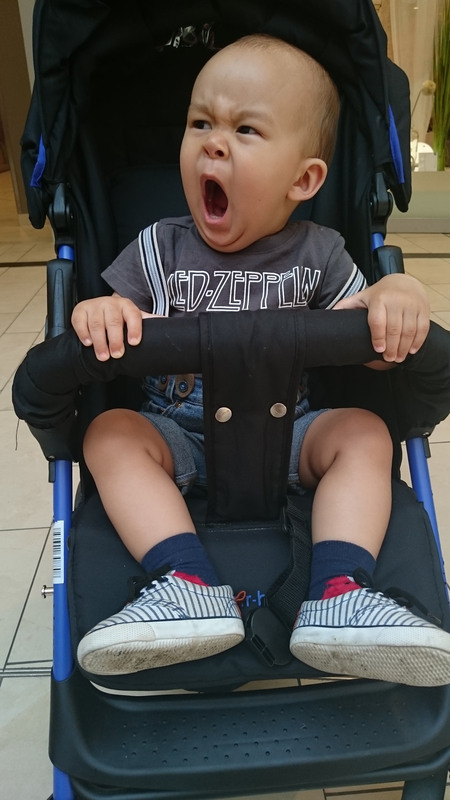 Yeah, seems that many CHinese tend to overdress their children in fear they might be cold…even in the hottest summer! I’ve been on a submarine tour in San Diego, and it’s very impressive that people live in such close quarters for long periods of time. It’s difficult to keep track of night and day inside of a submarine, so I imagine it is difficult on your body to live there! It’s interesting that your mother-in-law overdresses Nathan in the summer. Where I live, people seem to put very few clothes on babies during the summer. I assume that the parents are hot, so they think the baby is hot too. How can you tell an infant’s temperature? I studied a year in Kiel in 1999-2000. And can relate to most of the things you said about the city. We had so much fun! Nice submarine and surroundings are beautiful.